Unusual Antique Miniature Turquoise Enamelled Moser Casket Box with S Shaped Clasp. 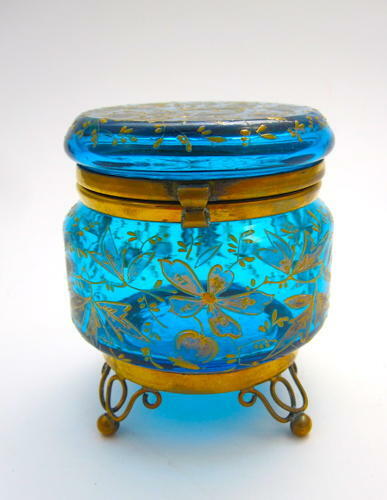 The Lid Enamelled with a Dragonfly. Dore Bronze Mounts, S Shaped Clasp and 3 Ball Feet.